South Africa is celebrating National Savings Month this July. But this is also the time of year a lot of us are struggling to keep ahead with payments. The average South African is paying almost all their income on debt repayments and we’re on a mission to educate individuals to become better off financially. According to a survey, we ran in the first quarter of this year; most people’s budgets are stretched. 51% of respondents in the survey indicated they couldn’t make debt repayments, and 41% overspent on their credit cards. These two statistics show that there are no extra cash. If South Africans don’t have enough funds to make payments on debt, the chances are little that they’ll put some cash away for savings. 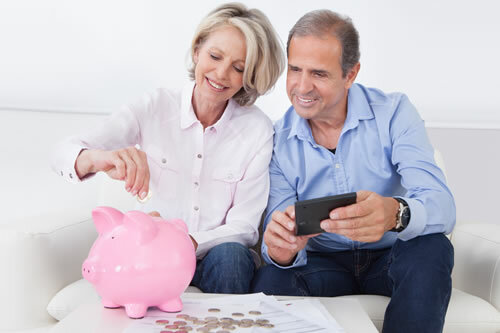 From the above statistics, it’s no surprise that 55% of participants don’t have a savings plan in place. Which isn’t good news since a savings plan is an absolute necessity. Whether you want to save for retirement or to buy something like a car or house, you will need a plan to get there. Results from a second survey, which ran from March to May this year, show that 53,3% of respondents aren’t saving at all. The reason being that they don’t have enough funds to cover both monthly expenses and savings. A great way to find extra cash for savings is to first measure what you earn and what you spend. Try your best to start saving. Even if it’s less than 3% of your monthly salary. It’s a good start and will encourage a healthy financial habit. You’ll only achieve financial freedom through careful planning and discipline. It’s not easy, but definitely worth it! Make a note of every cent you spend during the month, (including tips to car guards, bank fees, etc.) and when you add the amounts, you’ll know exactly how much money you have spent. Keep a piece of paper and pencil with you at all times and jot it down as you go along. By committing and doing this exercise for only one month you’ll be able to pinpoint exactly where all your money is going. It’s important to keep track of your financial situation throughout the month, and if you overspend, adjust your budget accordingly. Becoming free from debt means capping your lifestyle and trying to simplify the way you live. Make it a priority this National Savings Month to make time for fun. Do things that cost little or nothing. Like going for walks, exercising at home, playing with your kids, helping others and just generally spending more time with people you care about. It’s important to just take a breather and ‘smell the roses’. This is especially important because when people stress about money/finances, they need a stress reliever and spending time outside is just that. Remember, true wealth is having things that money can’t buy. When traveling back home during National Savings Month; be a conscious and cautious shopper. Buying little things such as bread, milk and other ‘emergency’ foods at the local garage on your way home from work may be convenient, but certainly not cheap.